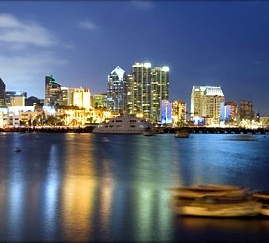 We understand you are thinking of making San Diego your home. As a resident for the past 39 years and a "native," we feel we are qualified to answer any questions you may have regarding locations around San Diego County. Our experience as relocation specialists has been developed over a period of twenty years, offering you experience combined with unique and personal service, giving particular needs and our undivided attention..
Kathy is a "Certified Residential Specialist," a member of the San Diego Association of Realtors and San Diego County Multiple Listing Service. This enables us to assist you in locating a home in a suitable price range and desirable location with a minimum of time and energy on your part. In addition, we work on a single agency basis with our clients. What this means to you is that each person we work with will be fully represented in all aspect of real estate. This includes negotiating, structuring, financing, and assisting during all phases of the transaction.. Premiere service is important to us. We will help make your move as stress-free as possible by providing the following services:.